Sarah Glick was born in Maryland and received her dance training from Harford Dance Theater, Baltimore School for the Arts and the Kirov Academy of Ballet. She attended summer progams at The Kirov Academy, School of American Ballet, Exploring Ballet with Suzanne Farrell, Jacob's Pillow and American Ballet Theater. At 18, she joined Boston Ballet II and performed corps roles in The Nutcracker, La Bayadere, and The Sleeping Beauty. She also danced with Sarasota Ballet, performing roles in Coppelia, The Nutcracker, and Carmina Burana. Sarah also danced with a contemporary ballet company in NYC called Ballet Deviare. Sarah has taught ballet at the Joy of Dance Center in Maryland. 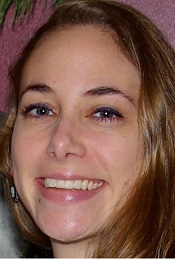 She moved to Vermont in 2011 and is very happy teaching students of all ages at VBTS!